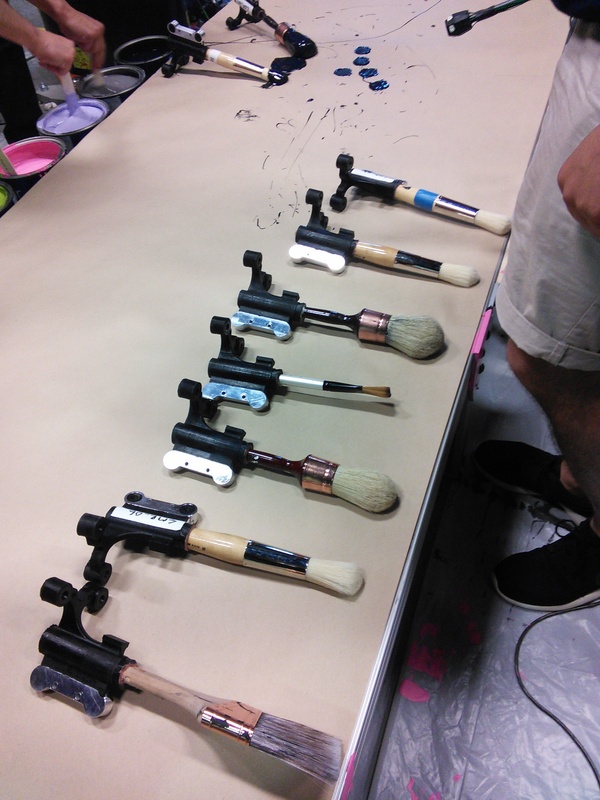 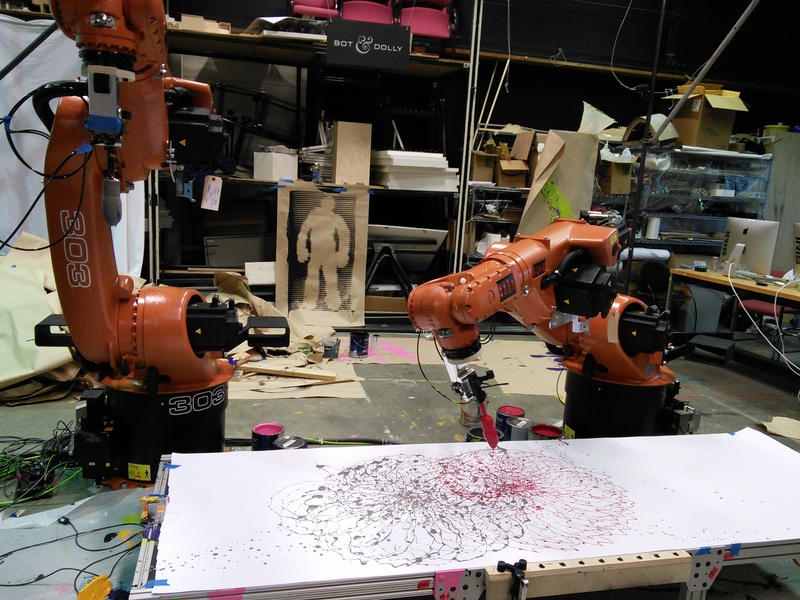 Craft class 4 robots is based on motion capture of me painting through different motion sensors. 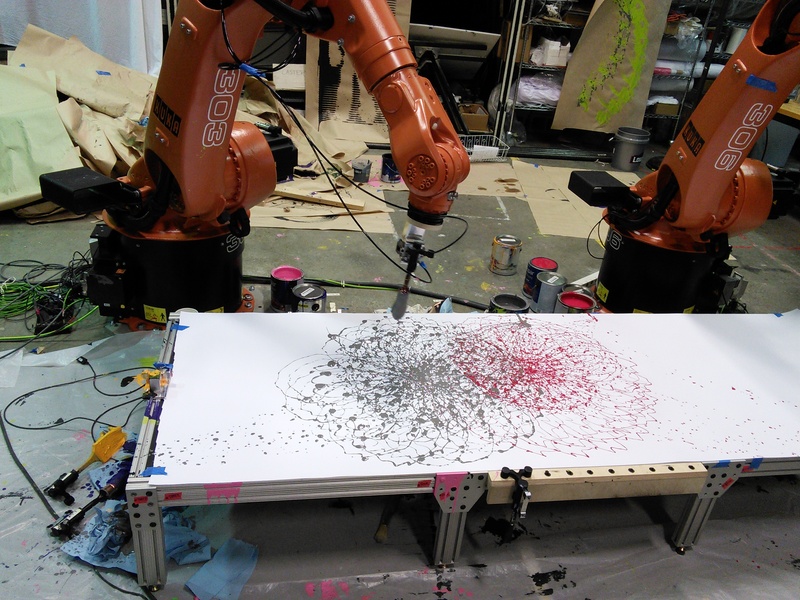 This information was then procedurally aggregated and translated into robotic motion parameters to drive the kinematics of 2 6-axis industrial robotic arms. 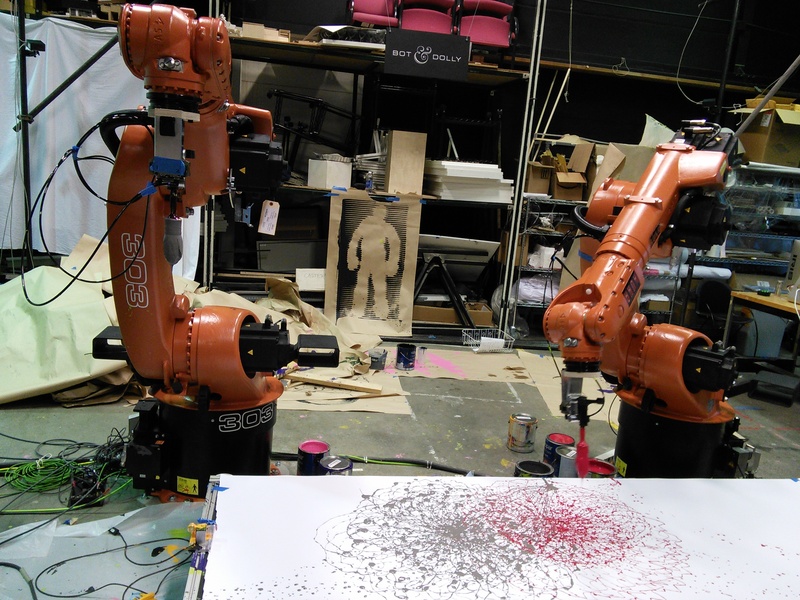 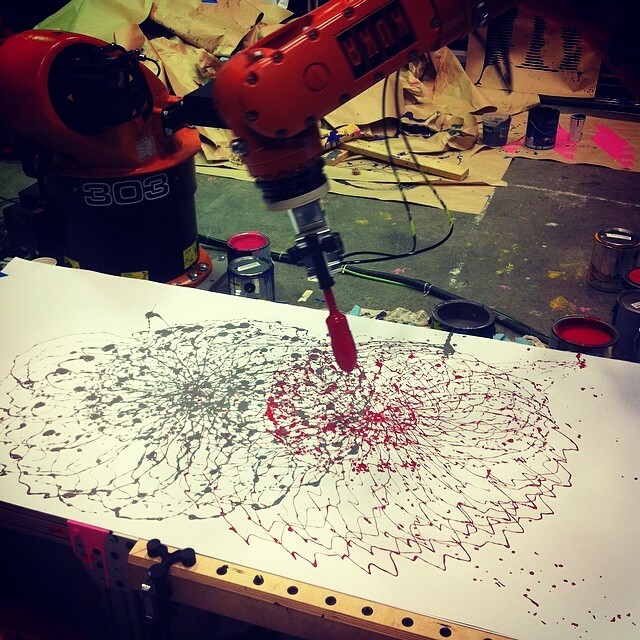 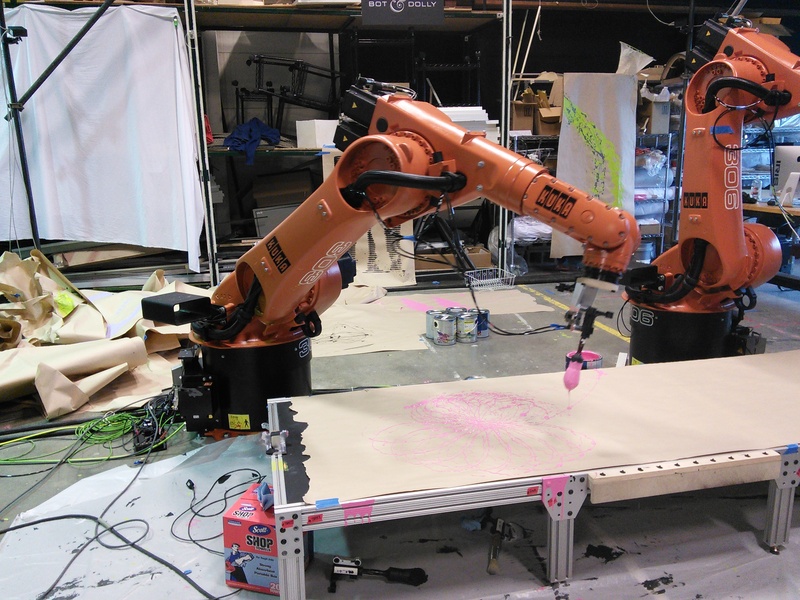 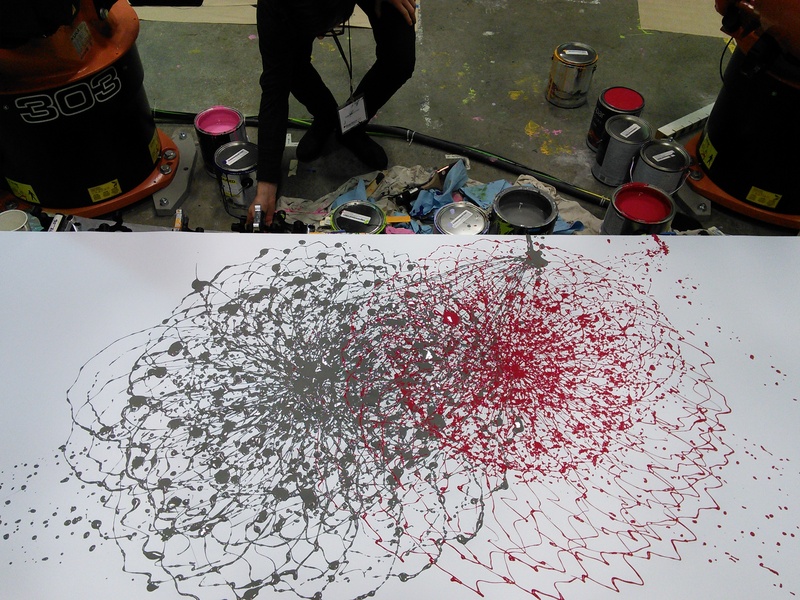 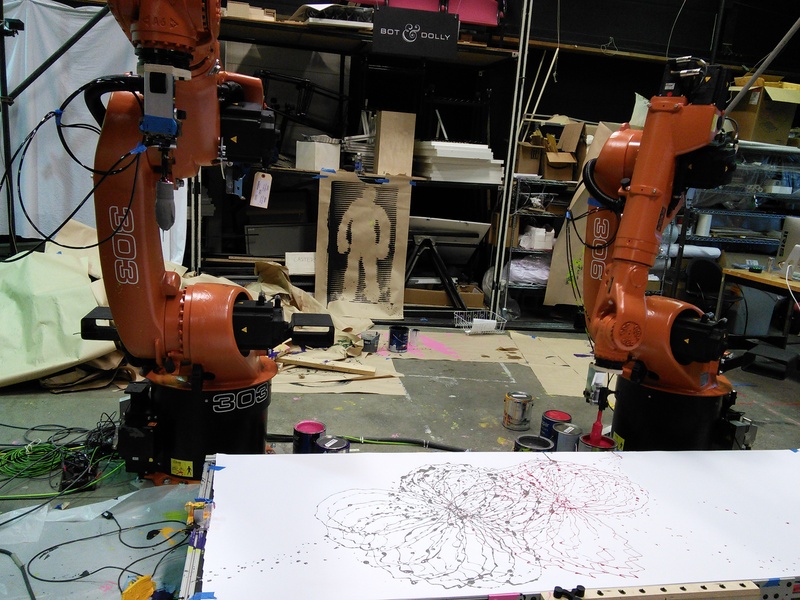 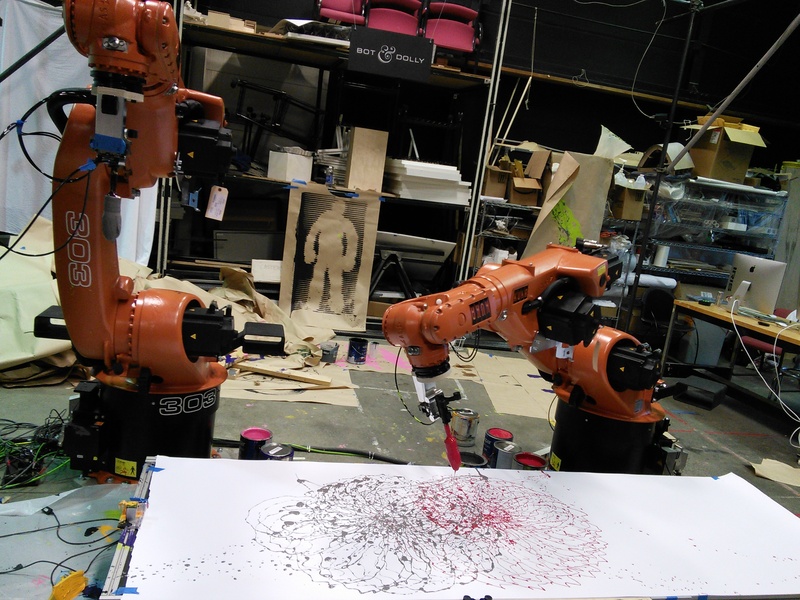 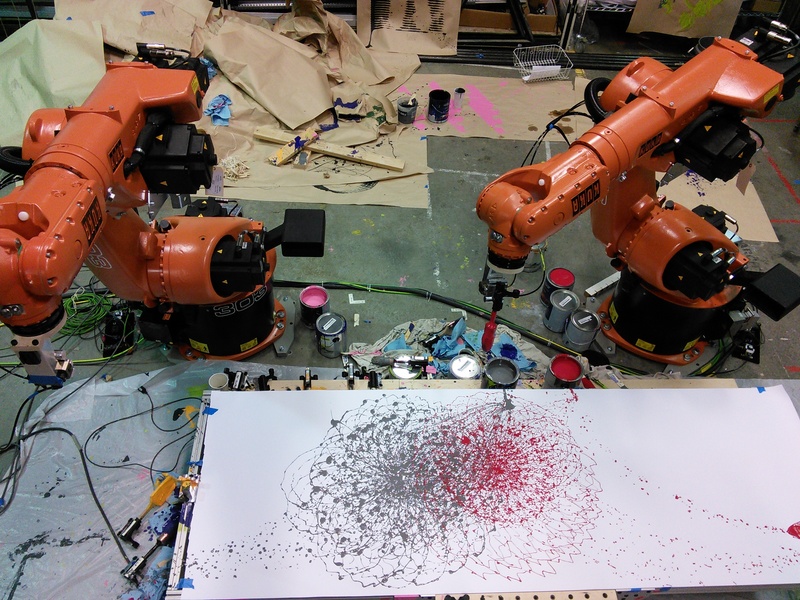 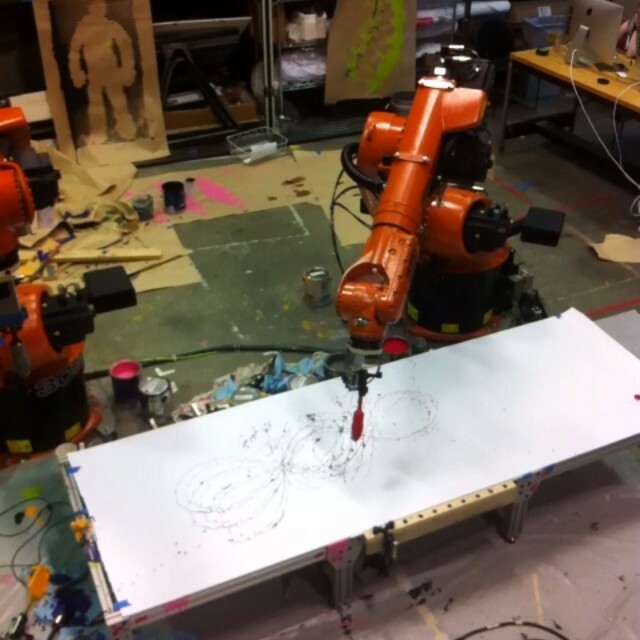 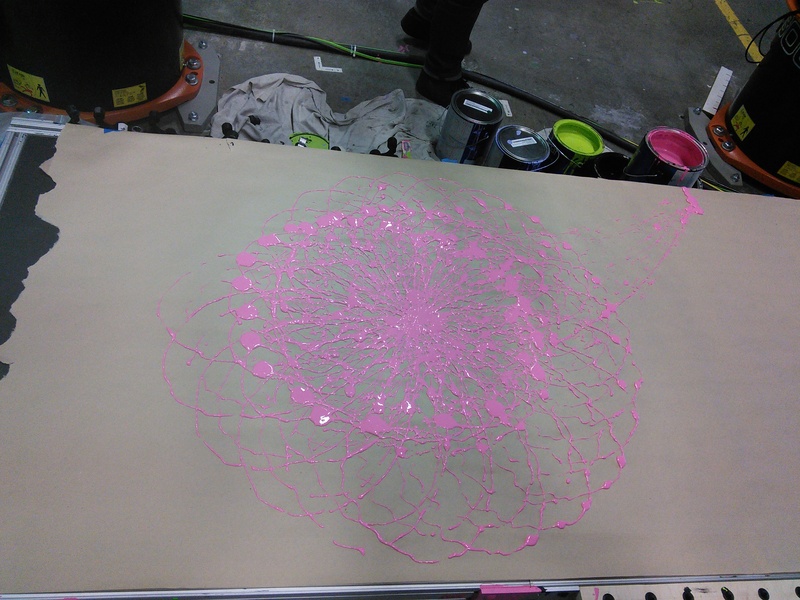 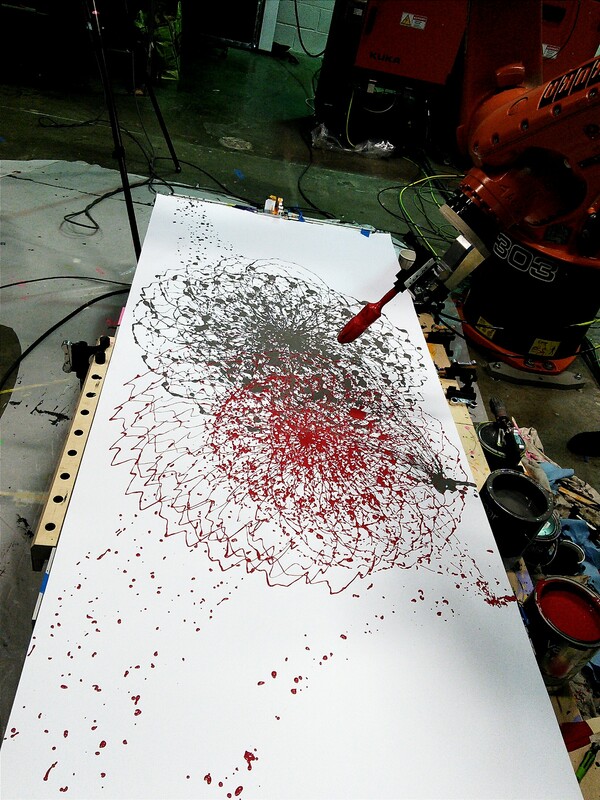 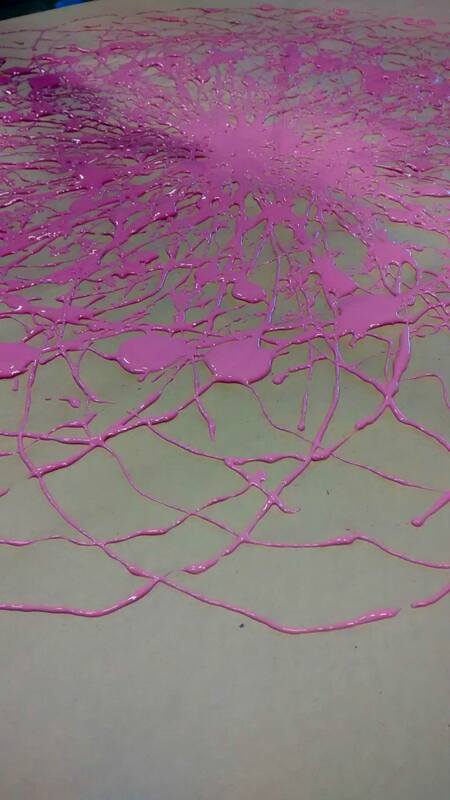 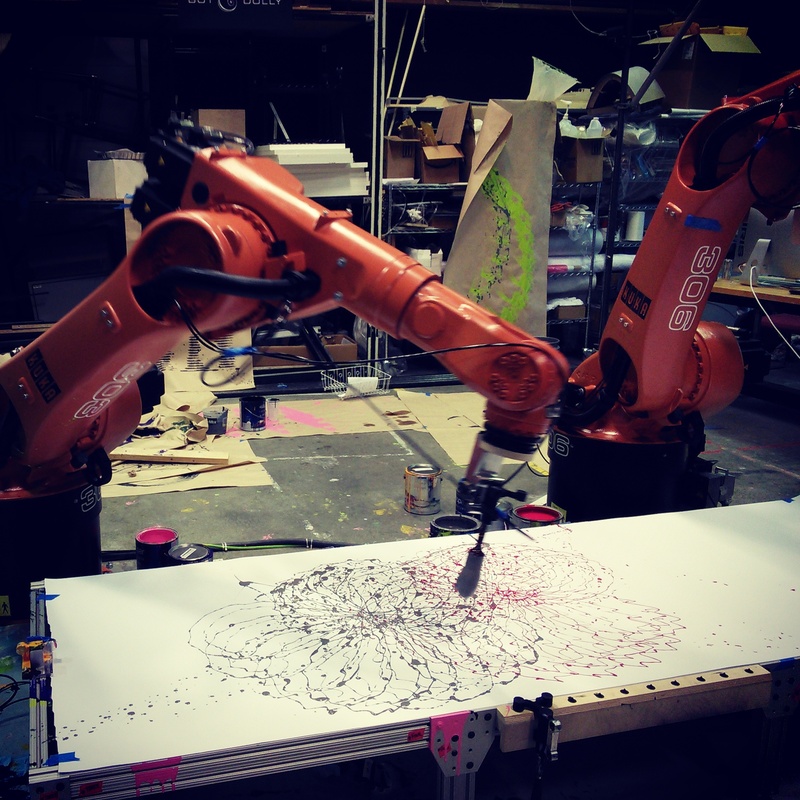 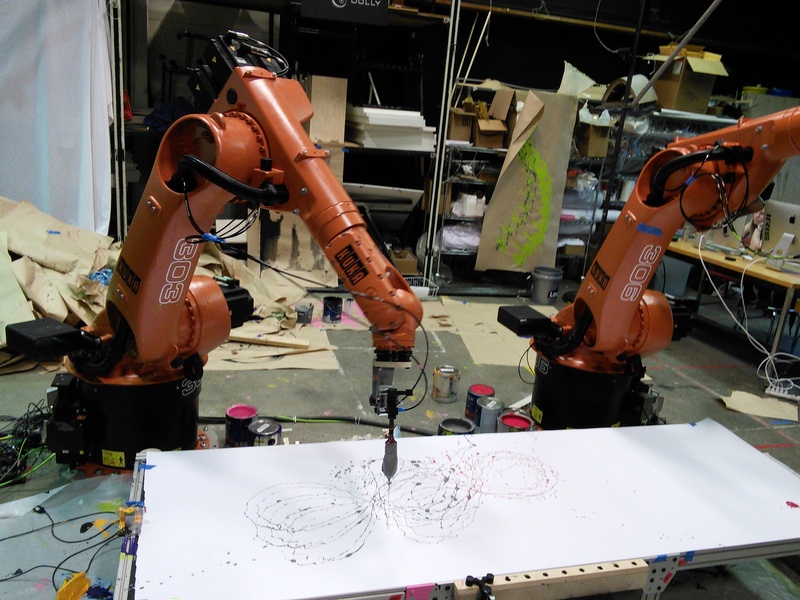 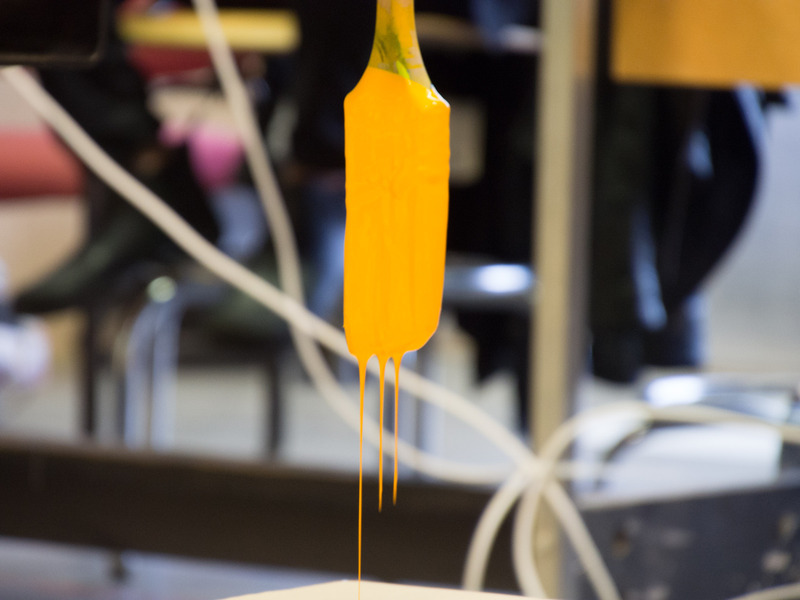 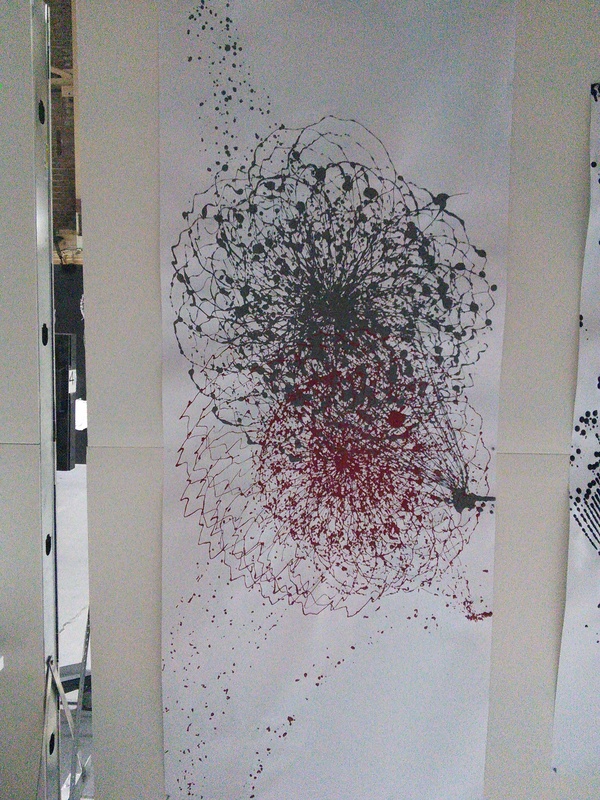 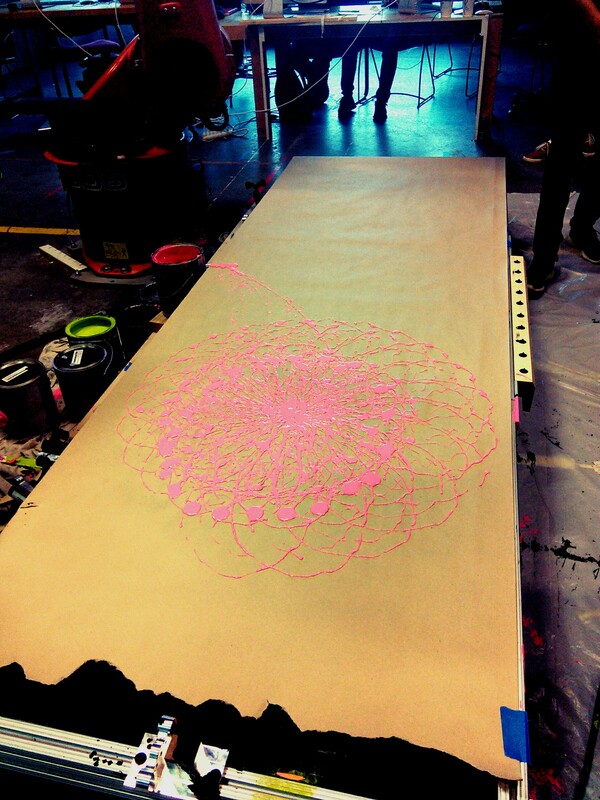 Both robots worked collaboratively then for a synchronised painting of the generated design.